Lukas Graham takes listeners on emotional journeys through song. Luka & Jenalyn seek to do the same thing through the medium of dance. When they combine it makes a perfect pairing, showcasing the beauty of love that persists through all of life’s struggles. Luka & Jenalyn bring songs to life with their dynamic choreography and expressive motion. Their latest piece is no exception, set to “Love Someone” by the equally dynamic and expressive pop-soul band from Denmark, Lukas Graham. “Love Someone,” an inspirational song about different forms of love, is the band’s first single off their third album 3 (The Purple Album). The official dance video collaboration between Luka & Jenalyn, World of Dance, Lukas Graham and Warner Bros. Records was a match made in heaven – or at least a match made in show business! Luka & Jenalyn were excited by the opportunity to once again show the versatility in their style of dance and push themselves out of their comfort zone. Their dance routine for “Love Someone” tells the story of a young couple in love. Their signature style highlights the texture of the sparse musical arrangement, matching the guitar and vocals with their movements. With the aid of Aidan Carberry from Poreotics contributing to the choreography, along with Brittany Nguyen as the lead videographer, Luka & Jenalyn brought the song to life on a beautiful public walkway in Toronto’s Distillery District. The rich colors of the brick proved to be the perfect backdrop for this love story. The Distillery District is home to a communal love lock art installation that is featured at the end of the video. In Paris, couples can secure their eternal devotion with a love lock on the Pont des Arts bridge. If you’re in Dublin it’s the Ha’penny Bridge, in Florence the Ponte Vecchio, and in Korea the N Seoul Tower. This world-spanning tradition sees couples placing a lock on a bridges or other structures to symbolize their love. In Toronto, locks are repeatedly removed from the Humber Bridge, but now citizens and visitors have another place to hang a lock and celebrate their love. The thirty foot long by eight foot high fixture is made of steel and reclaimed lumber with a sign encouraging visitors to initial their lock, attach it, kiss, and then throw away the key! This picturesque location was a perfect fit for Luka & Jenalyn’s performance. 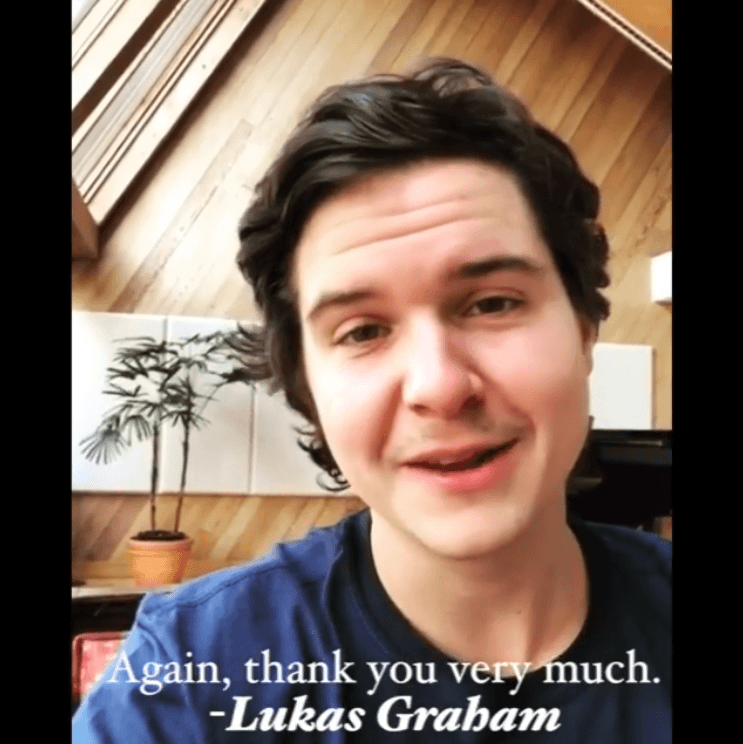 Lukas Graham took the time to surprise Luka & Jenalyn with a video message! The beauty and grace of love is universal and comes in all forms. Love is something that can carry and support us during difficult times. In “Love Someone,” Lukas Graham speaks about the fear of loss, and how love can’t exist without that fear, but it’s all worth it for the beautiful moments that come along with love – in all its manifestations. To learn more about Lukas Graham visit the band’s official website. Follow Luka & Jenalyn on Instagram, Facebook, Twitter, YouTube and Musical.ly.